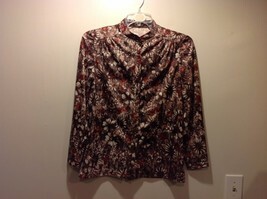 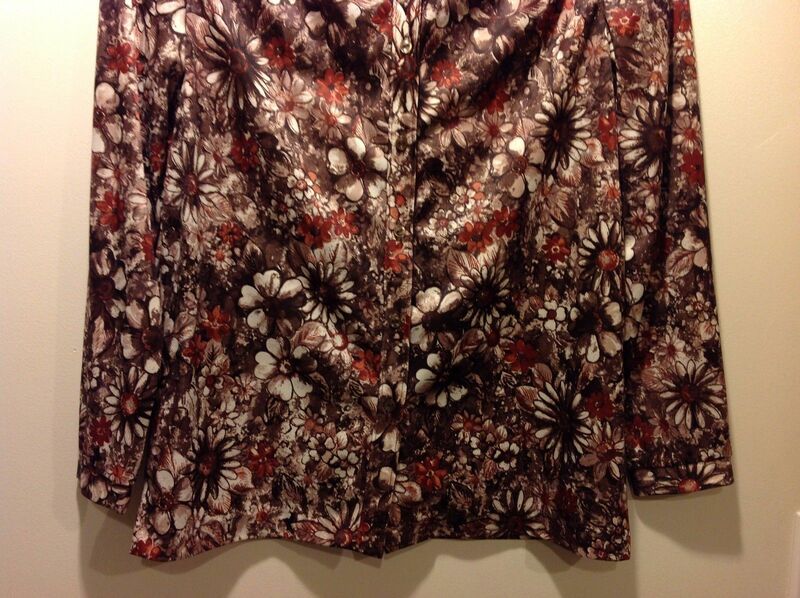 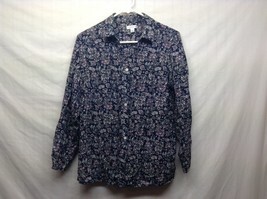 Super cute multi-shaded brown, floral patterned button-up blouse with retro flare. 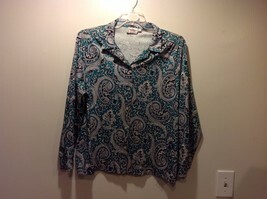 Blouse has belt loops/strings, but not belt. 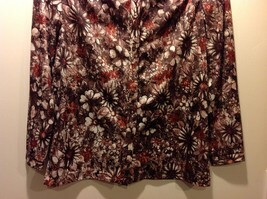 There are no tags so size and material cannot be determined. 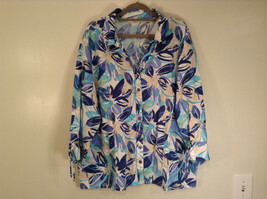 Blouse is made from silk-like material; although there is no size indicated, according to the E-Bay sizing chart, it would appear to be a M.